The 2016 VW CC Review: The CC is a mystery car. Americans are very familiar with the compact Jetta and the midsize Passat, but the CC slips between them. It’s a sportier ride, made in Europe, different from the designed-for-America other two. The CC splits the difference on dimensions between the Jetta and Passat. For example, it’s 5.8 inches longer than the Jetta and 2.8 inches shorter than the Passat. But where you really notice it is in height. 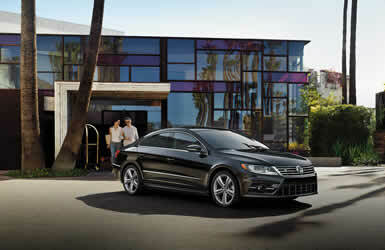 At 55.8 inches, the CC stands 1.4 inches lower than the Jetta and 2.7 inches lower than the Passat. But enough about the numbers. The CC is fun to drive. My Reflex Silver Metallic test car had the 2.0-liter turbocharged four-cylinder engine, good for 200 horsepower and 207 lb.-ft. or torque. 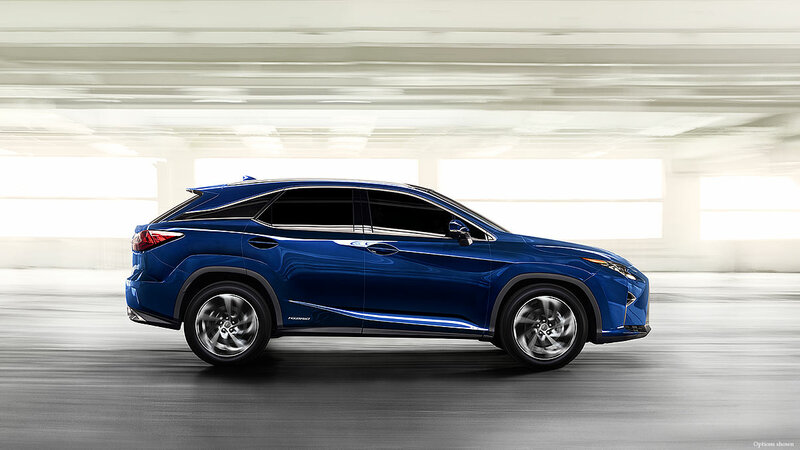 Low slung already, with a standard sport-tuned suspension, the CC feels taut and handles smaller than its 3,369 pounds might indicate. My tester had the DSG automatic, but you can order up a six-speed manual as well, not something you can say about a lot of cars any more. The DSG is designed with two clutches. One works with odd-numbered gears (1,3,5) while the other handles the evens (2,4,6). Because it can set up the next gear before you select it, gear changes are extremely smooth and fast. This might be especially helpful in racing, but in driving around it means you can let the transmission do its job almost imperceptibly. Steering wheel mounted paddles let you pick the gears, too, if you want to. Interestingly, the DSG offers some significant engine braking when you release the accelerator pedal. That makes it feel a little more like a manual-equipped car. There’s a 3.6L model with the VR6 280-horsepower V6. I’m guessing that it flies, based on driving other VWs with that engine, but with the extra weight in the nose, it might be less of a ballet on the road than 2.0-equipped versions. Models with the Hungary-built 2.0-liter turbo and automatic transmission earn EPA mileage numbers of 22 City, 31 Highway, and 25 Overall. I achieved 23.6 mpg in my week of commuting combined with one weekend highway jaunt, which included some curvy back roads perfectly suited to the CC’s superior handling. Green numbers are 7 for Smog and 6 for Greenhouse Gas, a little better than average. The 3.6-liter V6 gets 17 City and 25 Highway, for comparison’s sake. The CC offers premium accommodations. My tester’s all-black interior was well padded, and with the Carbon package, sported plenty of ersatz carbon fiber trim on the dash and doors. I even discovered a carbon fiber pattern on the seat cushions. My wife found that there was no ceiling-mounted grab handle for climbing in and out. I’m not sure if that had anything to do with the frameless doors. The new infotainment system offers lots of connectivity features. VW is a pioneer in offering Apple CarPlay, Android Auto, and MirrorLink. There’s USB too, and you can access apps from your smartphone directly through the car’s head unit. VW Car-Net provides electronic connections for the navigation system and other services. The transmission lever on the center console is surrounded by buttons. Oddly, the ones on the right were all dummies, meaning they could be used for something in higher-content models. I do know that there’s a 180-mph speedometer in the simple, clean gauge package. The start button is located on the center console, which seems unfamiliar but soon makes a lot of sense. While parked in front of a glass-fronted building in early evening, my wife noticed that when you turn on the Bi-Xenon headlamps, they pop up and then move side-to-side, like they’re checking things out. Actually, that’s what VW calls the Adaptive Front Lighting System. The lights can turn up to 15 degrees to the side to help “see around corners” at night. The CC’s 13.2 cubic foot trunk is deep and nicely carpeted on its perfectly flat floor. Little hooks mounted just inside the top edge are designed to hold those otherwise slippery grocery bags, although in my town, we all use cloth ones. The rear seats fold to increase cargo space. Pricing for a CC begins at $32,435 for the Trend model with manual transmission. Add $1,100 for an automatic. Step up to the Sport model for more goodies. The top model, the 3.6-liter VR6 version, hits $45,220. My 2.0T R-Line Executive model, with the Carbon package, came to $38,685, with lots of features but no optional items listed on the sticker. All prices shown include an $865 delivery charge. Volkswagen has some serious reputation rehabilitation to do as it recovers from its Diesel emissions scandal, but the cars themselves remain wonderful to drive and own. The CC is close to VW’s Audi cousin in its content, quality, and European feel. The Bottom Line: The 2016 VW CC is like a mystery car. Americans are very familiar with the compact Jetta, and the midsize Passat, but the CC slips in between them. It’s a sportier ride, made in Europe, different from the designed-for-America other two. The CC splits the difference on dimensions between the Jetta and the Passat, and it’s still a lot of fun to drive.